Google is iterating Google+ on the regular, with the latest changes appearing this Wednesday (the day of the week where most of the social network’s updates seem to rollout). Although the company only launched Communities last month, and in preview too, Google is already prompting Pages on the service to create their own Communities. 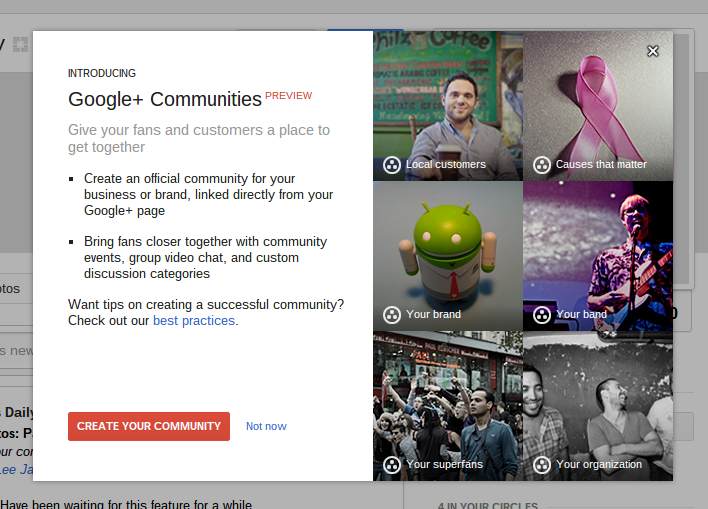 Create an official community for your business or brand, linked directly from your Google+ page. Bring fans closer together with community events, group video chat, and custom discussion categories. Want tips on creating a successful community? Check out our best practices. 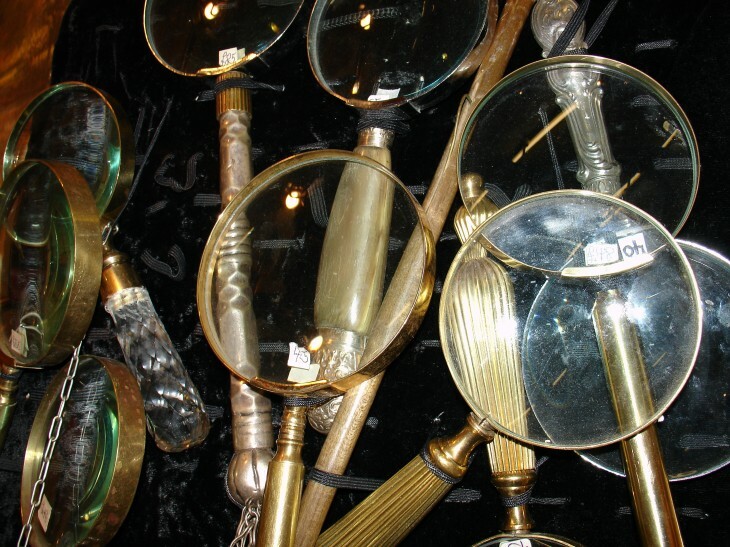 According to a TNW reader, the best practices link takes you to the Managing a Google+ Community. It explains how to build a succesful Community, including everything from categories to moderators. We have contacted Google for more information about this prompt. We will update this article if we hear back. In the meantime, it’s worth noting that another kinda-new feature is being noticed around Google+ this week. Google Plus Daily pointed us to Rand Wilson’s post on the topic: a pause button for Communities. Checking for other posts shows that others have noticed too, but it was apparently there from the very beginning. The reason it’s only picking up steam now is that the Pause button only appears when the stream is moving quickly. As Communities become more popular, more and more users will notice the neat feature. To be completely honest, it makes us wish Twitter had something similar.